In 2000 when the United States government began the implementation of duty free access for products from Sub-Saharan Africa under African Growth and Opportunities Act (AGOA), there was tremendous excitement that a window had been opened for the countries to develop their non-oil exports for economic growth. But over ten years into the scheme, that initial euphoria seemed to have become a forlorn hope especially for Nigeria’s non-oil export which performance under the scheme has been dismal. ROSELINE OKERE writes. THE United States of America has come up with the U.S-Africa Export bill tagged: “The Increasing American Jobs Through Greater Exports to Africa Act”. With the new legislation, exports from the U.S is expected to be more than double henceforth. According to the U.S, the AGOA scheme was intended to be mutually beneficial for both African and American entrepreneurs, but the focus of the administrations since its passage in 2000 has been on increasing African exports to the United States and the resultant job growth on the African continent. The bill is aimed at achieving goals by taking several steps, including the creation of a U.S-Africa trade coordinator to ensure that all U.S agencies involved in trade work in concert with one another. The legislation is also expected to mop up less than 25 per cent of available U.S trade financing and devoted to trade facilitation in the country. Some have expressed concern that such an expansion of U.S. exports to Africa could flood African markets and damage their economies, especially Nigerian manufacturing sector, which is already competing seriously with imported products. Although the AGOA scheme provides access for over 6000 African products, Nigeria is adjudged technically to be the largest exporter to the U.S, but this is mostly in the crude oil export. If the United States succeeds in increasing its export by 200 per cent as it is planning to do over the next decades, Nigerian manufacturing sector may be in for more challenges. 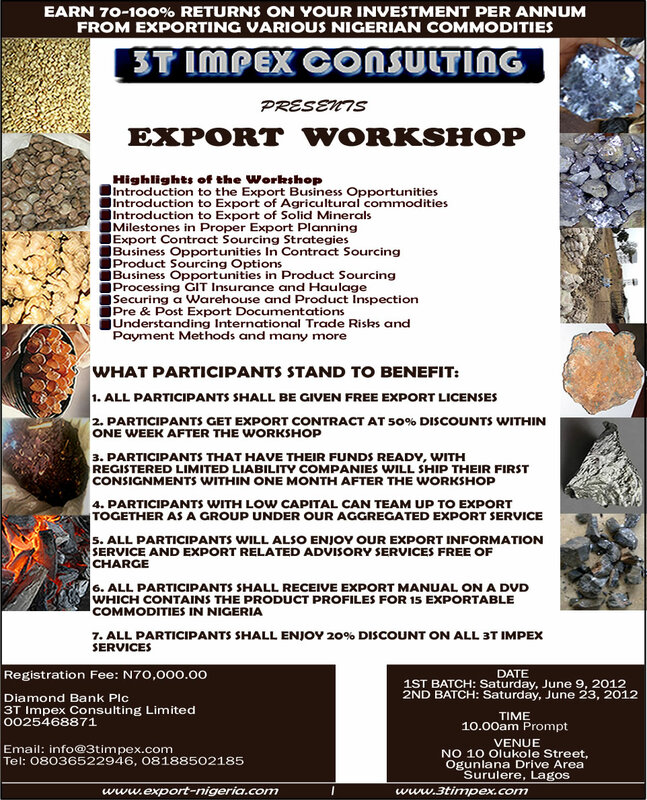 To ensure that Nigeria increase its export to the United States, the Nigerian Export Promotion Council (NEPC), recently organised a workshop in Lagos for exporters to asquint them of the opportunities available under the AGOA scheme and how to make their products more acceptable in the U.S market. Speaking at the event, a representative of the U.S embassy, Roy Folley listed the U.S top exporter under AGOA to include South Africa, with $3.7 billion export under AGOA, Ghana, $454 million, Lesoto, $314 million, Kenya, $292 million, Cameroon, $173 million, Mauritius, $169 and Namibia, $134 million. But, NEPC said that Nigeria only managed to export $2.5 million (N400 million) to the United States under AGOA compared with the $33 million (N5.3 billion) of crude oil export in 2011. Folley disclosed that sub-Saharan Africa non-oil exports to the U.S. have tripled from $1.6 billion in 2001 to $5 billion in 2011. He listed some of the non-oil exports products to include apparel, certain footwear, automobiles and auto parts, leather products, sunglasses, glass fibers, salts, animal and vegitable fats, beverages, wines, fruit juices, coffee and tea extracts, cocoa paste and cocoa power. Others are, cassava, vegetable, fruits, nuts, cut flowers, baskets, hats and essential oils. According to him, a careful look at the bilateral trade profile between Nigeria and the U.S.A reveals that some of the non-oil export products being exported out of Nigeria to the U.S. do not benefit from AGOA trade preference. “For example, under the agricultural trade, statistics show that while products worth $83.9 million were exported to the U.S in 2011, only $934,000 was done under AGOA and another $2.2 million under GSP provisions. This shows that the balance of over $80 million worth of goods did not benefit from any preferential trade tariff,” he said. To address this and bridge the information gap on the documentary requirements for AGOA exports, Adulugba said that the council has embarked on meetings with registered exporters of non-oil products to the U.S. to find out why their goods were being exported without benefiting from the AGOA duty free tariff rates, and sensitise participants on procedures required for the programme. Nigeria AGOA Country Representative, Nigerian American Chamber of Commerce, David Aderibigbe, while speaking on ‘Documentation Procedure for AGOA Export’, emphasised the need for exporters to adhere to proper documentation before embarking on exportation to benefit from AGOA. 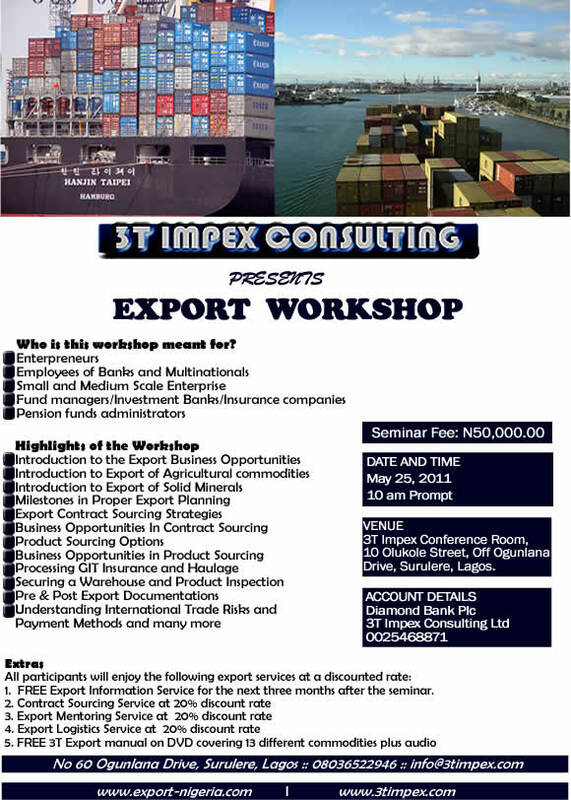 According to him, documentation of exports can be as important as the quality of the goods. “Faulty information or incomplete documentation can cause transport delays or hold things at the port entry. Freight forwarders and buyers who import regularly can often provide assistance with shipment documentation. According to him, trading across borders poses challenges such as complicated pricing calculations, keeping adequate documentation, accepting different methods of payments, communicating with greater variety of people. He said that exporters assume greater risks than businesses that are carried out within their countries. “They must also access and assess the buyer of their products, manage payments and comply with foreign market rules and regulations. “The United States has different requirements for different types of imported food. U.S standards are generally similar to those of the World Trade Organisation (WTO) and European Union, but more demanding for some products”, he said. The Federal Government has dismissed rumours that it is planning to scrap the Export Expansion Grant (EEG) policy, which was introduced to enable Nigerian manufacturers compete in the export market. 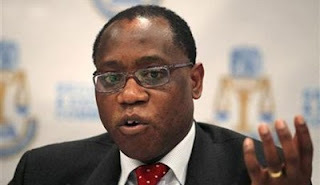 Minister of Trade and Investment, Mr. Olusegun Aganga, cleared the air on the issue during his visit to THISDAY in Lagos. He stated that the government was only taking steps to review the policy to ascertain its effectiveness over the years in order to fine-tune it towards greater efficiency in the future. “The answer is no, we are not planning to scrap the EEG, however, we are assessing and reviewing the programme to make sure that it can achieve its mandate more effectively in the future,” the minister said. Meanwhile, the Permanent Secretary, Federal Ministry of Trade and Investment, Mr. Dauda Kigbu, stressed the commitment of the Federal Government to provide enabling environment for investment growth in the country. He made this known when he received investors from Qatar led by Ranjeer Menon, at the ministry’s headquarters in Abuja. The permanent secretary said the ministry was the gateway to investment in the country stating that it was the responsibility of the Ministry of Trade and Investment to facilitate enabling environment for investors. 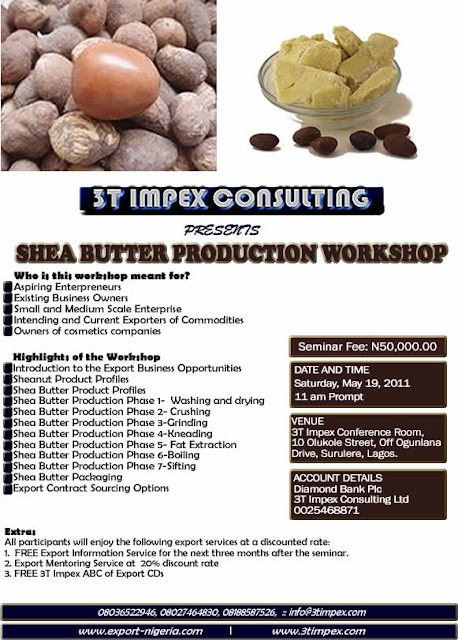 “We are the gateway to whatever investment you want to make anywhere in the country. It is our responsibility to ensure that we facilitate your interest in this country and link you up with relevant ministries, departments and agencies you want to deal with,” he said. Kigbu pointed out that government would ensure that all barriers that would militate against operation of businesses were removed adding that all necessary registration of their company can be done within 48 hours in the country. businesses despite the prevailing security challenges. He urged the Ministry to make available to them merchant statistics and production of major conglomerate in Nigeria which he said will assist them to work out how to support the economy and able to build a logistics that will make the economy to grow as fast rate. The investors are from Gulf Warehousing Company and they were interested in focusing on logistics and infrastructure in Nigeria, warehousing solutions laboratory, Special warehousing for pharmaceutical products and third party logistics. Minister of Trade and Investment has disclosed that trade contributes 19.29 per cent of the nation’s Gross Domestic Product (GDP). Speaking at the ministerial platform, yesterday in Abuja, in commemoration of National Democracy Day and first anniversary of President Goodluck Jonathan’s Administration, the Minister, Olusegun Aganga urged key partner countries and Nigerian business leaders to develop interest in the Nigerian market. The minister reassured the mission of the ministry to formulate and implement policies and programmes to attract investments, boost industrialization, increase trade and export and develop enterprise. He said the ministry is sanitising trade activities and revenue, thereby using trade to reduce unemployment, create new jobs and generate new wealth in line with global best practice of trade-led poverty reduction and economic growth. Also, the multi-focus trade strategy include; formalizing Nigeria’s trade in the Economic Community of West African States (ECOWAS) region. 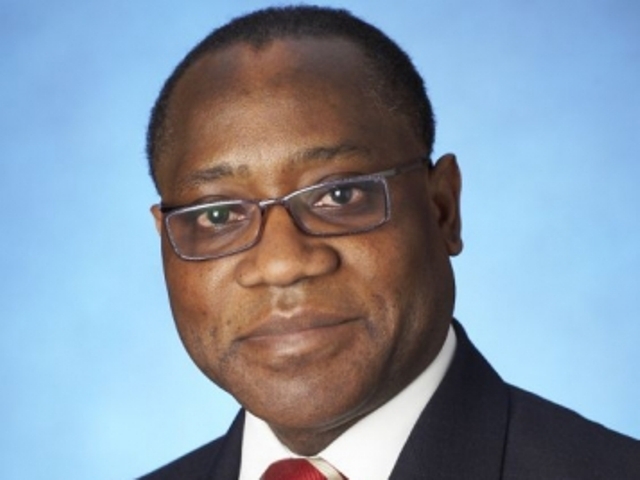 Aganga lamented that more than 80 per cent of manufactured industrial and household goods consumed in the ECOWAS sub-region are claimed to originate from Nigeria but less than 20 per cent of this is formalized. He encouraged the sustainability of existing market for non-oil exports, creating new export markets for non-oil exports and improvement on the standards of Nigeria’s export products. “We have the raw materials and market, it is now time to realize our aspiration to become an industrialized nation,” he noted. The ministry has also completed the development of the Nigerian Sugar Master Plan , which provides the road map for at least 100 per cent local production of sugar. According to him, this would produce 1.7 million metric tons of sugar, 161.2 million litres of ethanol, 400MW of electricity, 1.6 million tons of animal feeds, 38,000 permanent jobs and 79,803 seasonal jobs. The minister disclosed that the ministry has a focus on the petrochemical industry to maximize the value chain and its contribution to not just government revenue, but also GDP and employment. Aganga stated that government’s target is to train 500,000 youths annually from 2013 on industrial skills. He added that the drive is backed by government policy and will involve private sector in designing and reviewing the curriculum and in the apprenticeship programme and work placement.